From Adil Rashid’s controversial decision to quit red-ball cricket, subsequently reversed, to another narrow escape from County Championship relegation, it has been a challenging 2018 season for Yorkshire. Chris Waters reports. 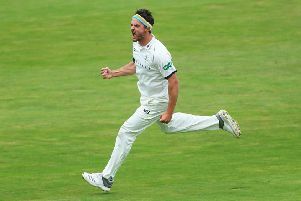 FOR THE second successive season, Yorkshire finished fourth in the eight-strong County Championship First Division, a fair reflection on a performance that was middling at best. Whereas last year that left them only two points above seventh-placed Middlesex in the final relegation spot, this time they finished 25 clear of seventh-placed Lancashire, whose defeat at Emerald Headingley in mid-September proved crucial to the fortunes of the Roses rivals. It was, as such, progress of sorts, although the threat of relegation once more stalked Yorkshire for much of the year. Going into their final match at Worcester, they still needed two points to mathematically guarantee safety, an indication of how tight it was and, perhaps, why Yorkshire are chief advocates of a Conference system that would abolish relegation faster than you could say ‘100-ball cricket is a waste of space’. It was, in hindsight, a season for which the portents were unfavourable before a ball had been bowled. In February, Adil Rashid, the club’s premier spinner, suddenly and dramatically quit red-ball cricket, a decision which elicited widespread criticism – not least from his former captain Darren Gough, who said that the club should have shown him the door. In April, just days before the first match, Liam Plunkett and David Willey took up late injury replacement contracts at the Indian Premier League, thus depriving Yorkshire of their services for the opening six weeks. It was a summer rather like those Yorkshire winters of yore, as busy off-the-field as it was disappointing on it. It prompted Martyn Moxon, Yorkshire’s director of cricket, to bemoan “an impossible situation” for counties and to call for the introduction of a cut-off point for IPL deals. 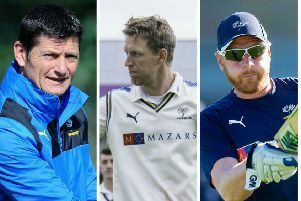 “We are potentially looking at a situation where, if we deny a player an opportunity, we will be left with someone who is not completely focused on playing for Yorkshire, which would be counter-productive,” said Moxon, after Plunkett and Willey each pocketed six-figure sums. When the season finally started, it was only after a false start which saw the first match against Essex at Headingley abandoned without a ball bowled, the first time that a Championship game had been abandoned at the venue for 51 years. To make matters worse, it hardly rained at all during the scheduled four days, with the outfield still recovering from the so-called “Beast from the East”, which also put paid to the annual three-day game against Leeds-Bradford MCCU, meaning that the first seven days of first-class action at Headingley were days of inaction. Yorkshire finally got on to the field a week later, against Notts at Headingley, where a 164-run win was the proverbial false dawn. It was the first of only five wins in the 14-match programme, four of which were against teams who finished in the bottom three (Yorkshire also defeating Lancashire twice and bottom club Worcestershire). The only other victory came at defending champions Essex, where Yorkshire prevailed despite being bowled out for 50 in their first innings. They did have their two England linchpins on hand in that match, however, in the form of the lesser-spotted Joe Root and Jonny Bairstow, with Bairstow’s second-innings half-century – allied to a maiden hundred for teenager Harry Brook – changing the complexion of the contest, Steve Patterson’s career-best 6-40 then completing a comeback for the ages. After Root took charge of the next match, an innings defeat to eventual champions Surrey at the Oval, Patterson found himself pressed into service as captain – first on a stand-in basis, then permanently. Gary Ballance, the official captain, took what became a fortnight’s break, initially for what the club described as “personal reasons” before it was clarified that Ballance had been suffering from fatigue-like symptoms, brought about by general anxiety/pressure. Happily recovered, he went on to finish as leading run-scorer with 906 at 39.39 and contributed three of the seven Championship hundreds amassed by the side. Ballance was the sixth-highest scorer in the First Division behind Rory Burns, James Hildreth, Ollie Pope, James Vince and Daryl Mitchell, the latter’s total of 957 containing 310 in three innings against Yorkshire, including 178 in Worcestershire’s innings win at Scarborough in August, during which England’s Moeen Ali scored 219 and returned match figures of 8-89 in one of the greatest individual performances against the White Rose. Yorkshire’s batting averages were topped by Tom Kohler-Cadmore, who came with a late flourish to strike 414 runs in six games at 46.00, including two hundreds and two fifties. Earlier, Yorkshire had been deprived of Kohler-Cadmore and pace bowler Matty Fisher due to mid-season England Lions’ call-ups, a source of immense frustration to the club given that they provide so many players to the various full England sides. Further frustration came when Cricket Australia suddenly cancelled the T20 deal of pace bowler Billy Stanlake, whom they wanted to focus on different formats. It highlighted perfectly the problems faced by clubs in trying to sign overseas players amid so many competing pulls and priorities. Those that Yorkshire did sign, the New Zealand batsmen Kane Williamson and Jeet Raval, plus the India batsman Cheteshwar Pujara, collectively bombed in the Championship, scoring 474 runs in 25 innings between them at an average of 18.96. Even in a summer in which the average runs per wicket in the Championship nationally was 26.70, the lowest since 1974, it was a dire return, with only Williamson (218 runs at 36.33) emerging with credit. Pujara batted well in the 50-over Cup (370 runs at 52.85) to help Yorkshire to the semis, where they fell at that hurdle for the 18th time in the last 21 attempts. Yorkshire batted well collectively in 50-over cricket; less so in T20, where Williamson topped the averages with 280 at 40.00, the club once more failing to reach the knockout stages. It was a summer rather like those Yorkshire winters of yore, as busy off-the-field as it was disappointing on it, with Williamson’s stay also cut short slightly by New Zealand Cricket due to his earlier IPL workload, and with the club suddenly losing the ebullient chairmanship of Steve Denison, who resigned in the wake of the BHS audit as the reins passed back to Robin Smith. It was also a summer conducted to a backdrop of multiple player contract talks as the club tightened their belt in an increasingly uncertain cricketing landscape, talks which had an unsettling effect on the dressing room atmosphere. Those talks eventually resulted in the departures of all-rounder Plunkett, batsman Alex Lees, off-spinner Azeem Rafiq and pace bowler Jack Brooks, the latter repairing to Somerset on a three-year deal after Yorkshire, initially, were prepared to offer only a two-year arrangement. It was possible to see both sides of the argument; Brooks will be 37 by the time that his Somerset contract expires, but he took 25 wickets in his last five games to top the club’s Championship wicket-taking charts for the fourth time in his six-year stay, his tally of 51 at 28.03 edging out the 48 at 16.33 of fellow pace man Ben Coad, who backed up superbly his breakthrough summer. Another departure was wicketkeeper Andrew Hodd, who retired, aged 34, with Jonny Tattersall doing a good job in his stead after only taking up wicketkeeping seriously during the close season. With Plunkett gone, and as uncertainty continued to envelop Rashid, who signed a new red-ball deal with the club only in the final week of the season following his controversial Test call-up in late July, Yorkshire recruited pace man Mat Pillans and leg-spinner Josh Poysden. Neither made an impact but Yorkshire hope that a good winter followed by regular cricket will bring the best out of them, with the club missing out on other targets and still in the hunt for batting reinforcements, as well as a batting coach. Of the existing coaches, none escaped criticism from those supporters disinclined to accept that the club are in self-announced transition. The chief focus of discontent was first-team coach Andrew Gale, who took a fearful hammering on social media and, at the time of writing, had not tweeted since August 9 as that discontent became increasingly vituperative. After the pressure on him was relieved by the win over Lancashire in mid-September, Gale revealed that those closest to him had been moved to contact him to check that he was ok; in these days of increasing mental health awareness, those minded to throw around hashtags such as #galeout along with accompanying abuse are a neanderthal bunch. Would another coach have fared better? It is open to question. Some say that Jason Gillespie, Gale’s predecessor, saw which way the wind was blowing and got out at the right time. No doubt you will have your own thoughts. 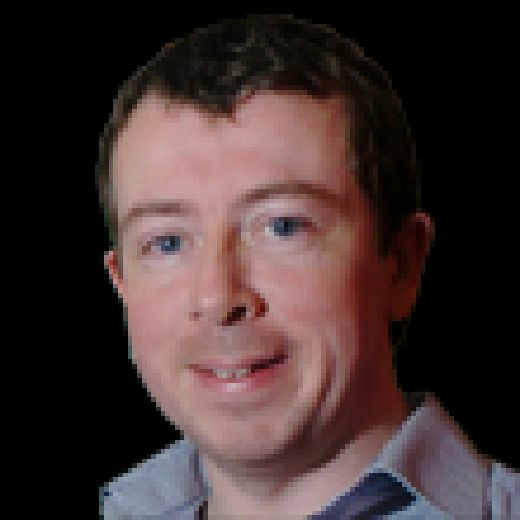 It was also a summer, lest we forget, that was foreshadowed by the untimely death of one of Gillespie’s great friends, the much-loved Dave Callaghan, the immensely popular BBC Radio Leeds cricket correspondent, who had covered the club for over 30 years. No sooner had the Yorkshire squad returned from their pre-season tour to South Africa, indeed, than they flocked en masse to Wetherby for “DC’s” funeral, along with the great and good of Yorkshire cricket. The loss of this wonderful man was as keenly felt as if the club had lost one of their greatest players. It was also a reminder, when it comes right down to it, that there are more important things in life even than Yorkshire cricket.